Very competitively price battery. Excellent packaging and delivered on time. First class product and service at a sensible price. The battery arrived the day after ordering and was extremely well protected and packaged. Instructions on what to do on receipt were good. The battery had lost some charge but Tayna customer services were very knowledgeable and helpful. The battery has charged up well and I hope will prove to be an excellent choice. Arrived promptly. Exceptionally well protected and packed with lots of polystyrene inside a stout box. 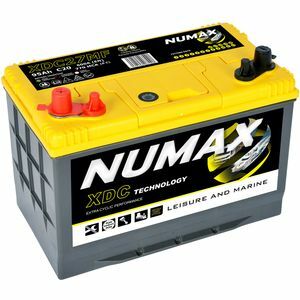 Bought to replace two CX27MF batteries fitted to my boat and sourced from Tayna 10 years ago! Batteries charged up well and show every sign of being as good as the ones they replaced.